Tuniq Tower 120 was for long time one of the best cpu coolers.Tuniq pushed the limits even further and developed the Tower 120 Extreme, a cpu cooler with smokey aluminium fins and five heatpipes.The air circulation is ensured by a 12cm MFDB fan with blue leds that makes a really nice optical result.So will the Tuniq Tower 120 Extreme beat the competition? 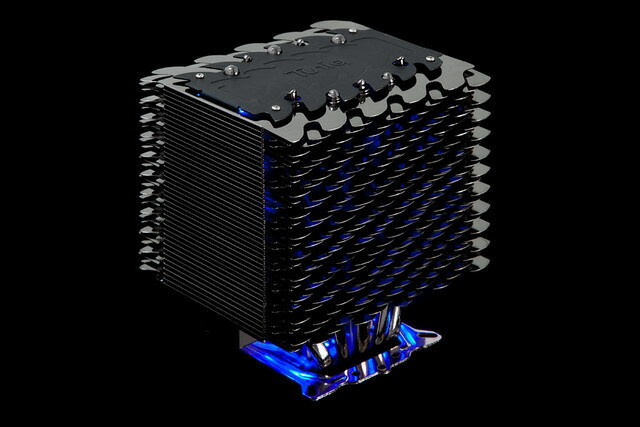 The main features of Tower 120 Extreme are the unique designed fins with a wave shape that make make the cooler look really nice, and when combined with the 12cm MFDB fan with blue leds the result is simply awesome. It has the core contact technology(also known as HDT), with five heatpipes in total, three are 8mm in diameter and the other two are 6mm.The heatpipes are also chromed and this helps in the overall nice look of the cooler. 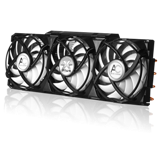 The MFDB(Magnetic Fluid Dynamic Bearing) fan is also a really nice high performance fan that will leave everyone satisfied. 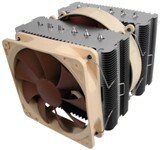 At last the Tower 120 Extreme has a wide compatibility range supporting LGA775,LG1366 and AM2/3 sockets! Let's move to the features and specifications!